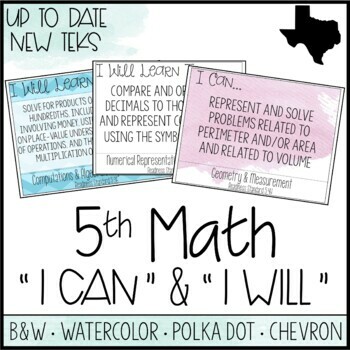 This is a set of 39 posters of the Texas 5th Grade Math TEKS. 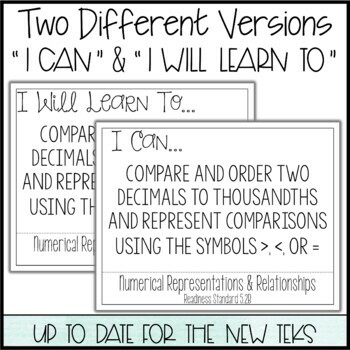 Both an "I Can..." and an "I Will Learn To..." version of the posters is included. 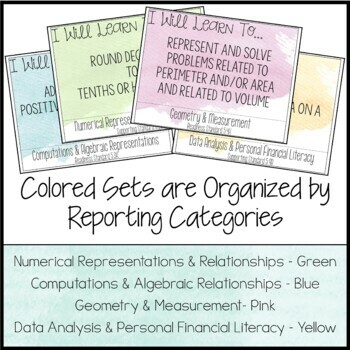 Each 8.5"x11" poster includes the reporting category, full wording of the TEK, whether it is a readiness or supporting standard, and the number/letter of the TEK. These are for the new TEKS that went into effect in the 2014/2015 school year. Please view the preview for an exact view of the posters. 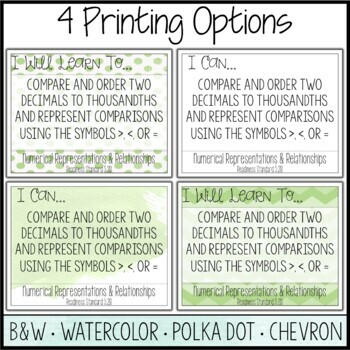 If you would like these posters created for a specific subject/grade level please message me via the "Product Q&A". I will normally have it created for you within 48 hours.